Martha Berry thanks Hammond for the donation--every amount will help rebuild the dormitory, even the children have donated. Also, the school is very busy as Commencement is coming up soon. 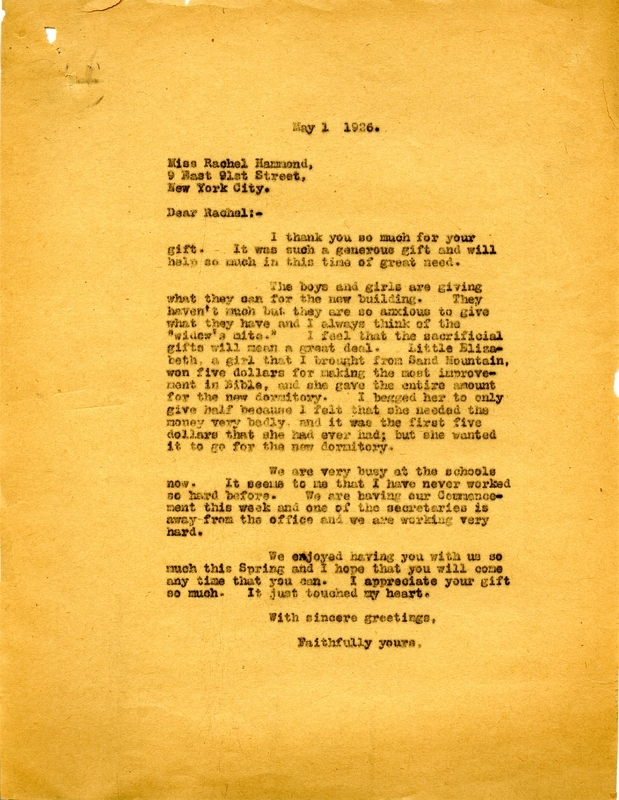 Martha Berry, “Letter from Martha Berry to Rachel Hammond.” Martha Berry Digital Archive. Eds. Schlitz, Stephanie A., Angela McCavera, et al. Mount Berry: Berry College, 2011. accessed April 20, 2019, https://mbda.berry.edu/items/show/127.